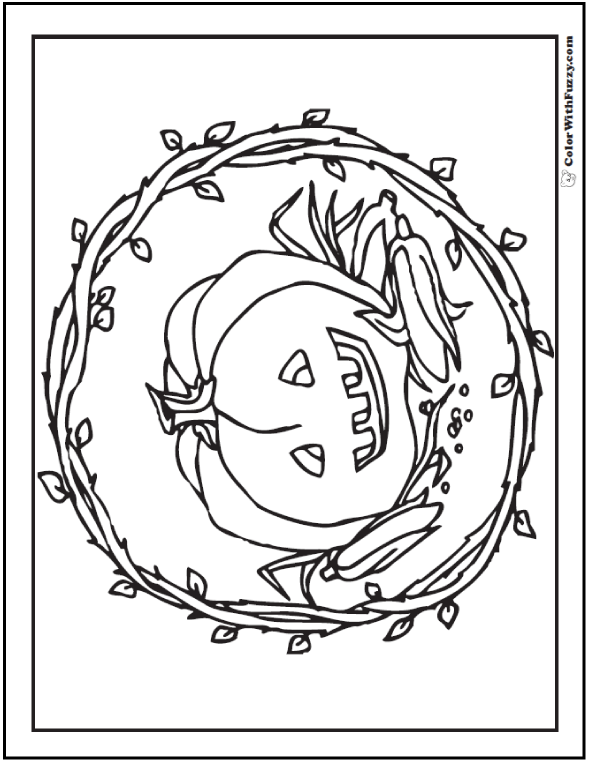 Print a fun Halloween coloring page with a Jack O'Lantern pumpkin and autumn wreath. 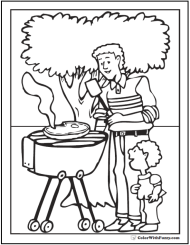 Kids love coloring pages for Halloween! 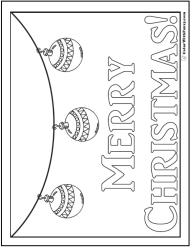 Fuzzy's PDF printable coloring pages print to 8.5x11 inch paper. 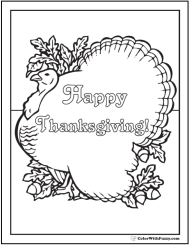 Halloween Coloring Page: Fun Pumpkin Jack O'Lantern, Fall Wreath, and Harvest Corn coloring page for Halloween! 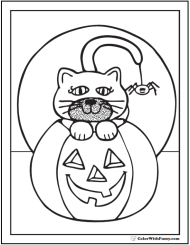 Color this Jack O'Lantern pumpkin orange with a brown or green stem. The wreath can be all sorts of colors. 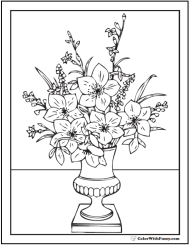 I like a green or brown stem with red, yellow, and purple leaves. 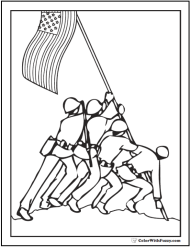 Color the corn yellow and green. Yum!